With so much that’s alluring about the Hawaiian Islands, it can be hard to choose which one island to visit. If it were up to us to decide your trip, though, we’d pick Kauai — the most underrated island in Hawaii and one of our favorite places to travel for 2019. It has a cool, low-key vibe and is an incredible places to surf. But maybe not everyone in your group surfs, or you aren’t sure what else there is to do. There’s in fact a lot to do in Kauai, and we’ve listed the 12 best options here — though that’s still only scratching the surface. The only thing missing may be the time to do them all. You may plan to surf or snorkel, and we’ll get to those details below. Or maybe you’d prefer to read a book on the sand. Either way, you’ll hit the beach at some point, so we’ll introduce some of Kauai’s best up front. 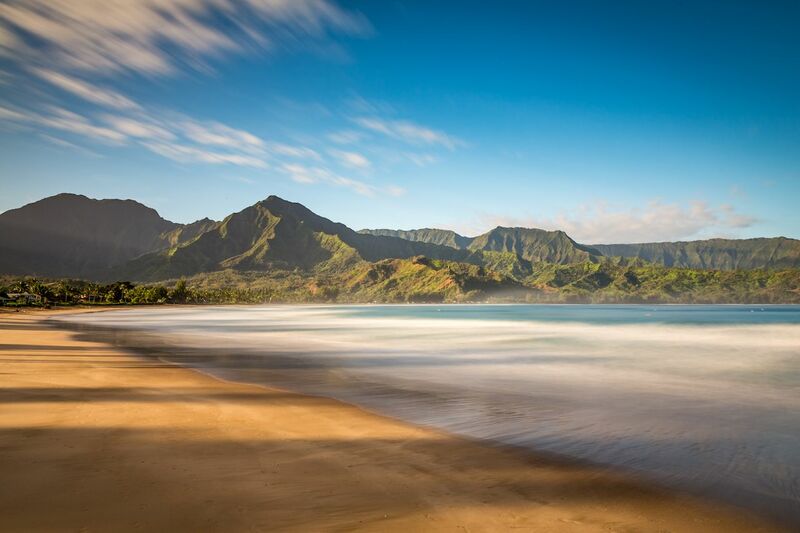 On the north side, Hanalei Bay beach is perfect for a long walk. It comes complete with views of Makana Mountain, aka Bali Hai, the sleeping dragon. 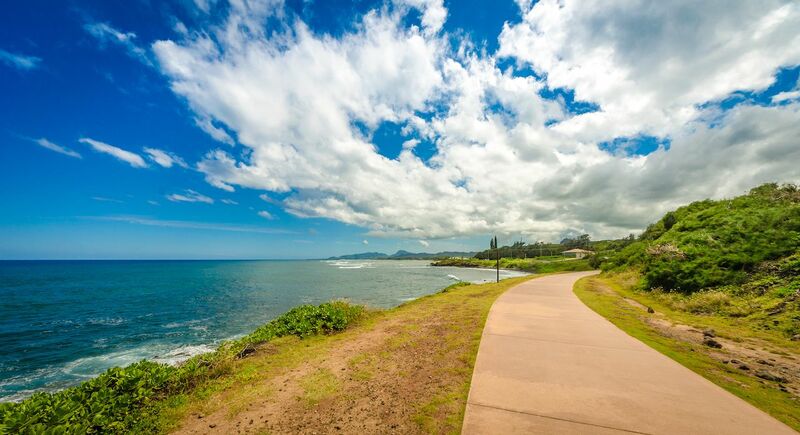 You’ll pass stunning beachfront houses, pine trees, and grassy expanses by Waioli Beach Park. Beyond Hanalei, the Kuhio Highway would normally take you past several inviting beaches, ending at serene Ke’e Beach. Most of that highway is closed now, though, following a massive storm in April 2018. It’s projected to reopen this year, and we’ll let you know when it does. On Kauai’s west side, Kekaha Beach Park seems to go on forever. It’s great for a long walk. Just decide where to turn around. Walk for three hours and you’ll eventually hit the dunes of Polihale State Park. Most visitors actually get to Polihale by ignoring their car rental restrictions and driving in on the rutted dirt road. The Polihale waves are treacherous, though, and the sun in this arid zone is relentless — so, if you do come, bring water and a beach umbrella. On the south shore, Poipu Beach Park connects several sandy coves. One one end, Brennecke’s Beach has zero waves and is fantastic for little kids, while the main beach on the other end is packed with beginner surfers and boogie boarders. 2. Find a secret beach. Kauai has several beaches that are harder to get to, which keeps most people away — and that’s a good thing. One of those is Gillin’s Beach, a rattling drive on a dirt road beyond Poipu. After you park in a clearing and walk through the scruffy woods, though, you’ll emerge onto a long, pristine beach lined by pines trees. The water’s rocky in some places but blue and crystal clear. It’s an idyllic place to hang out. Ka Lae O Kaiwa Beach is near Allerton Garden. You’ll scamper on an overgrown footpath along the cliff. Just when you think you’re lost, you’ll see a stunning crescent-shaped beach. Local kids may be doing incredible tricks on boogie boards, but don’t regret that you didn’t bring your own board. This is a serious close-out wave that can do some damage to anyone but an expert. In Princeville, Hideaways Beach is, well, hidden away. Once parked in the tiny lot near the St. Regis, a path leads down the escarpment. Broken steps, cracked railings, and loose ropes are all part of the descent. As above, just as you decide it’s too dangerous to go on, you’ll arrive at a slice of seaside paradise shrouded in tropical lushness. If you went to Hideaways, hopefully you brought snorkel gear with you. Hideaways’ reefs are full of diverse fish. On the north shore, you can rent snorkel gear for $5/day from Hanalei Surf. On the south side, a good spot is the Beach House beach, right by a Boss Frogs snorkel shop. Admire the graceful sea turtles and a variety of tropical fish and, afterwards, consult your copy of the Boss Frogs fish sheet to identify which fish you saw. If you’re PADI certified and want a more intense underwater experience, talk to the folks at Seasport Divers on Poipu Road. 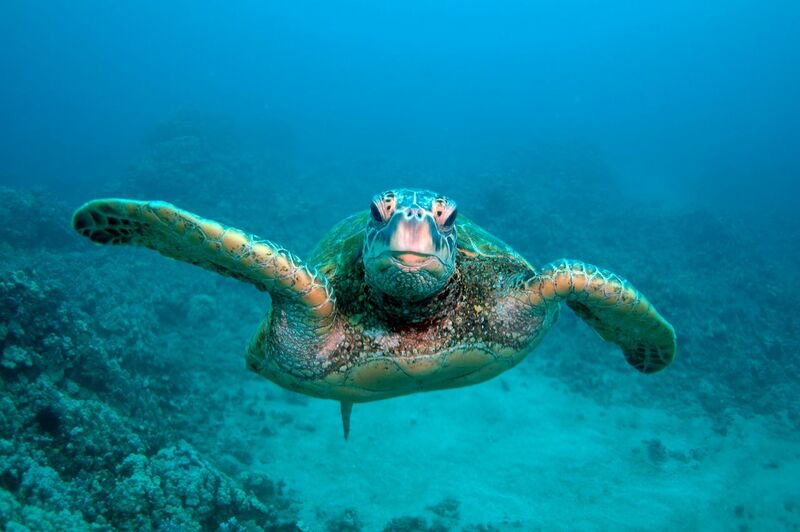 Kauai is no Palau, but it’s worth going under the surface at least once there. 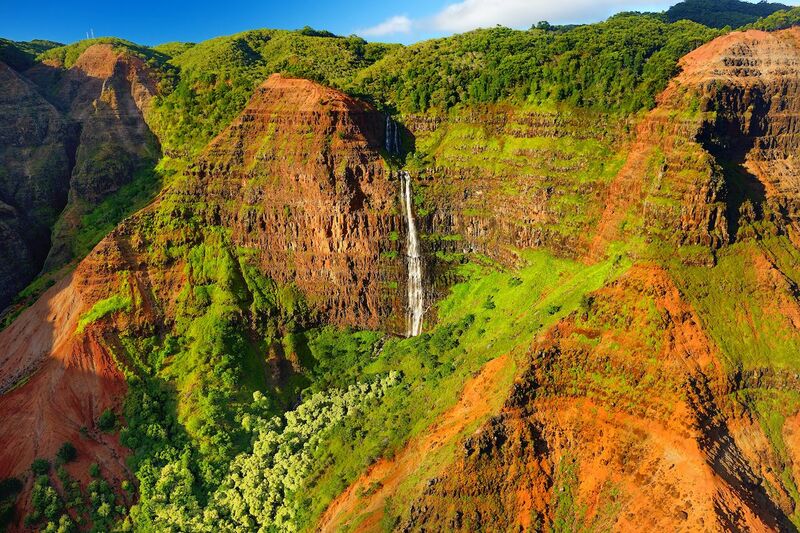 Kauai is one of Hawaii’s top hiking destinations. 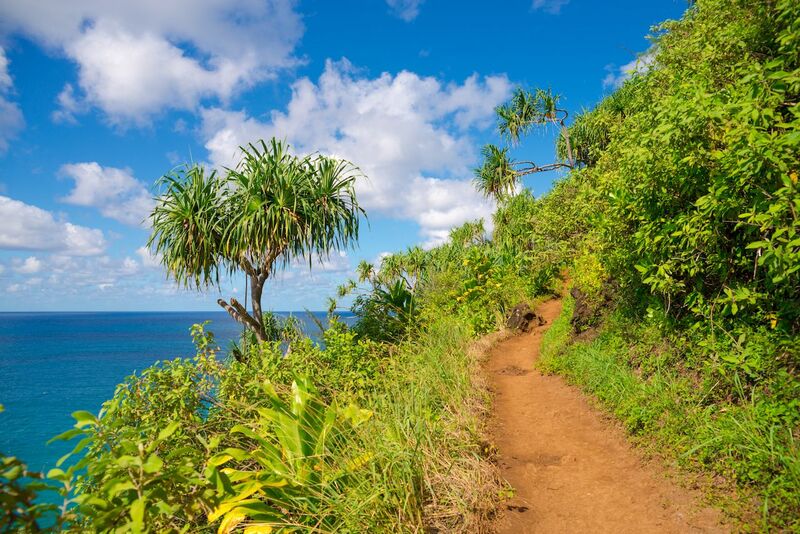 The most famous path is the Kalalau Trail, a 22-mile round trip that starts in Ke’e beach, which hugs the mesmerizing cliffs of the Na Pali Coast. Unfortunately, sections were washed away in the April 2018 storm. Park officials hope to reopen it sometime in 2019. For the time being, you can approach the Na Pali Cliffs from the Waimea side. The Awa’awapuhi Trail is one trail that will bring you into the Na Pali area for fantastic views. Plenty of shorter hikes abound elsewhere. The hike to Wailua Falls Trail is an easy half-mile with a view of the lake and Wailua’s two side-by-side falls. On the south shore, the Maha’ulepu Heritage Trail takes you from Shipwreck Beach along bluffs to an overlook of Gillen’s Beach. It’s an easy morning trek that rewards you with lovely views you can’t see if you stay in town. In Kapaa, rent beach cruisers for just $5/hour or $15/day. Head due north on the paved path. You’ll have ocean views for the whole three miles to Donkey Beach, where you can stop for a dip before your leisurely pedal back. The bikes come with baskets or bags, and you can even rent a trailer for your cooler full of sandwiches and beer. Kayak Hanalei rents kayaks right by the Hanalei River, which you can paddle downstream towards the sea. It’s a fun family excursion — as long as you’re aware that the adult in the boat will end up doing all the paddling. 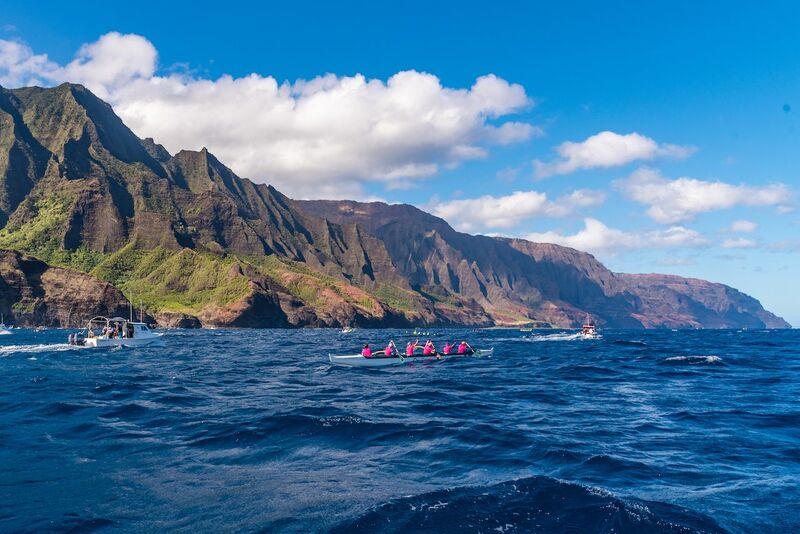 Kayak Kauai runs intense, two-day excursions on sea kayaks to the Na Pali Cliffs. They used to run them from Ha’ena on the north shore. After the April 2018 storms, they started departing from Polihale and found that approach to be easier. This coming summer, Kayak Kauai will offer the trip from both the Ha’ena or Polihale launch points. 7. Take photographs from an overlook. Specifically, take photos of Waimea Canyon, a stunning 3,000-foot-deep and 10-mile-long cut of red earth dotted with bright green trees. The canyon views from the 3,600-foot-high Waimea Canyon Overlook are worth the trek. Afterwards, instead of heading back down, drive on Highway 550 to the Kalalau Lookout. When it’s clear out, you’ll get fantastic views of the Na Pali cliffs from the Kalalau Lookout. Given the way the clouds hug the cliffs, though, we just can’t promise it’ll be clear out. Either way, your drive back down will probably have more visibility, rewarding you with sweeping vistas of Kauai’s west side and the sea beyond. 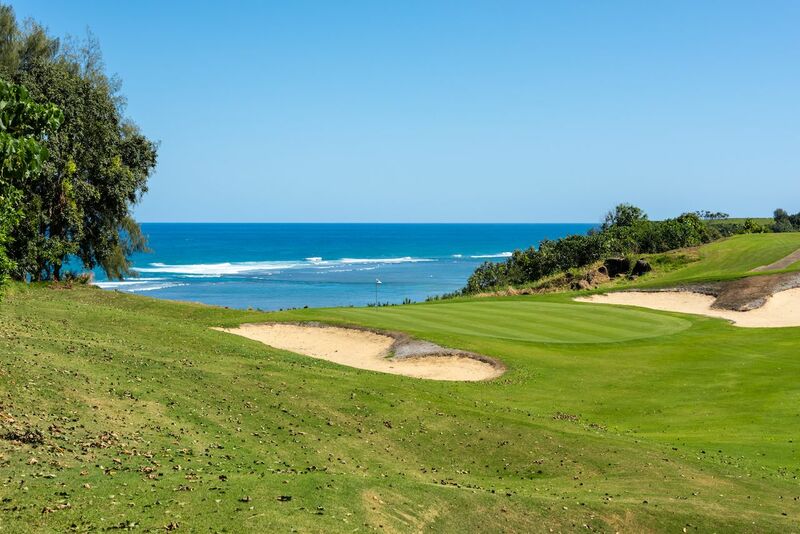 You’ll find courses all over Kauai, most offering ocean views. Where you choose to play the holes may depend on where you’re staying. Some golfers consider the Makai Golf Club in Princeville one of the best in Hawaii. If you can play a round just before the sun goes down, it may be the most beautiful game you’ve ever played — bogeys, due to the sunset distraction, notwithstanding. You don’t need to book at an expensive resort to get a good massage. The locals here at places like Sports Massage Poipu and Hanalei Bay Massage are surfers and athletes who know what your sore muscles need. That said, if you do want your rubdown in an elegant outdoor cabana, the Anara Spa at the Grand Hyatt resort is the largest spa on the island and pretty fantastic. 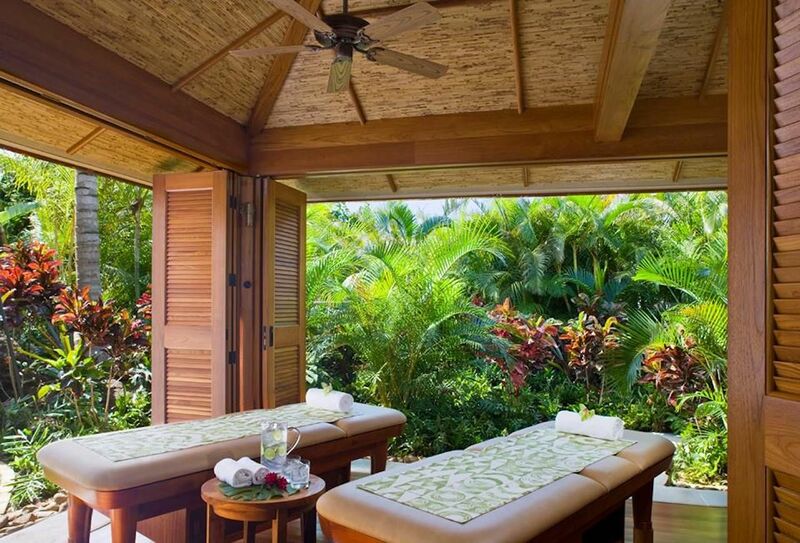 Massages at the Halele’a Spa at the St. Regis Princeville are almost double what you’d pay with an individual local therapist — but the refined surroundings may make it worth it to you. 10. Eat like a local. You won’t have any trouble finding good food in Kauai. Breakfast and lunch options on the South Shore include the Little Fish Coffee shack and the kitchen at Living Foods. Hanalei has the Hanalei Bread Company, as well as great dinner options at Bar Acuda and The Dolphin Restaurant. But if you want to eat like the locals, then try a daily lunch special from one of the food trucks in town. 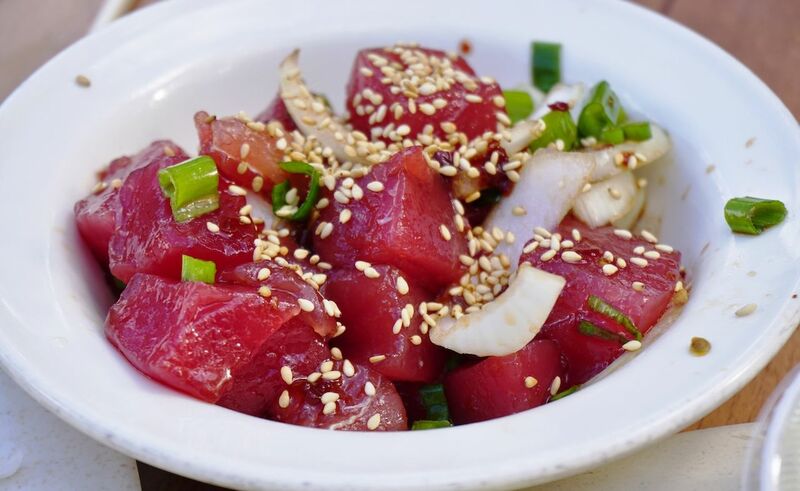 Or go to the Koloa Fish Market near Poipu, the fish shop behind the Dolphin Restaurant, or even the Ishihara Market in Waimea and pick up some incredibly fresh poke. And if you see some Spam musubi, try it. It tastes best after you’ve been surfing for two hours. Don’t forget to get some shave ice, which you can find at the pink kiosk by the Poipu Beach House beach or in Old Koloa Town, Hanalei, and just about anywhere. 11. Have a fresh fruit juice. It’s impossible not to have a good smoothie in Kauai, with so many fresh tropical fruits to choose from. The juice shop in the Living Foods market is great as is Hanalei’s Aloha Juice Bar, a bright red shack by the Big Save parking lot. The Kauai Juice Co. has three shops on the island and also sells its elixirs in beautiful bottles to go. 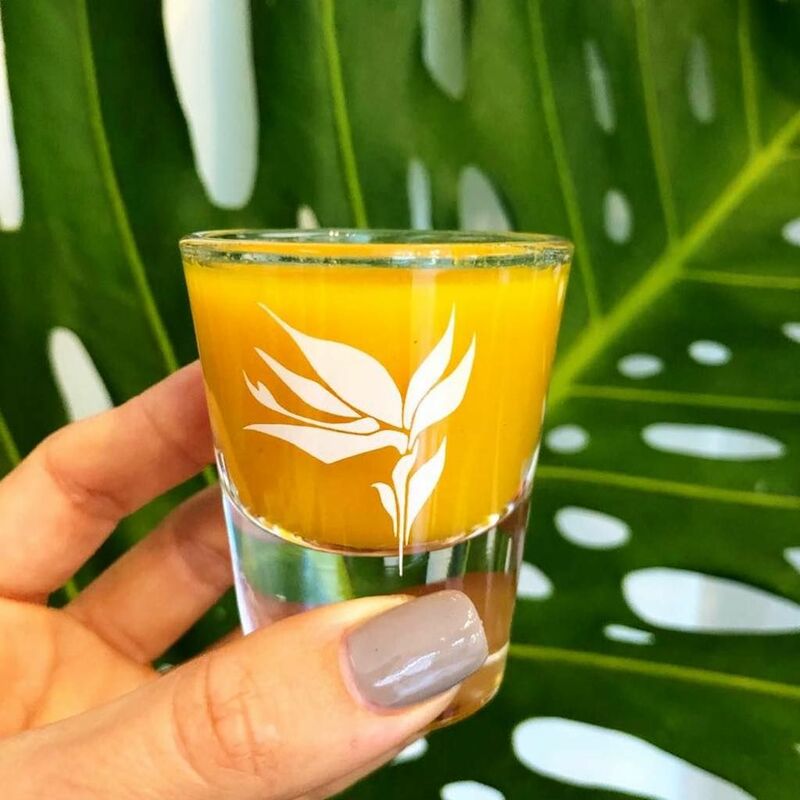 Our favorite juice spot, though, is the Kalalea Juice Hale in Anahola, off the highway leading to Hanalei. Make a stop at the tiny orange house in the trees. Besides smoothies you’ll keep going back for, Kalalea makes a tasty açai bowl with housemade granola. If you don’t surf, first get a lesson. Surfing is risky. From rocks to other surfers, hazards abound, and a surfer who doesn’t know what they’re doing is a danger to others. Fortunately, there are plenty of surf schools. On the south side, try the Kauai School of Surfing. On the north shore, the Hawaiian School of Surfing is owned by surf legend Titus Kinimaka. For some, surfing is the reason to come to Kauai. Kauai rivals Oahu for the quality of its waves yet has less of the crowds. On Hanalei Bay, beginners will appreciate the gentle waves and soft sand on the west side of the Hanalei pier. Down the beach, Pines and Grandpa’s have beginner to intermediate waves, depending on the swell. For more action, paddle out to the Bowl where the clean right-hander is a dream. This spot is for advanced-intermediate surfers and up. The wave doesn’t pitch steeply, so you could manage it with a longboard — but the reef underneath is sharp. Fall on the take-off and you’ll be stuck in the impact zone as you get pushed further into the reef. Best to know what you’re doing. The north shore waves work from September to April and are usually huge around New Year’s. In summer, there can be no swell at all — so head to the south shore, which is best from May to August. The main beach at Poipu is a sea of beginners on soft-tops, but you can paddle out to Waiohai. Just be sure to go on high or incoming tide. When Waiohai gets low, you may find your board thrashed by the reef and your feet pierced by urchin barbs. The Garden Isle has plenty of other spots, but locals get understandably territorial. One no-go zone is Anahola, a steep, expert wave by the area reserved for locals of Hawaiian descent. 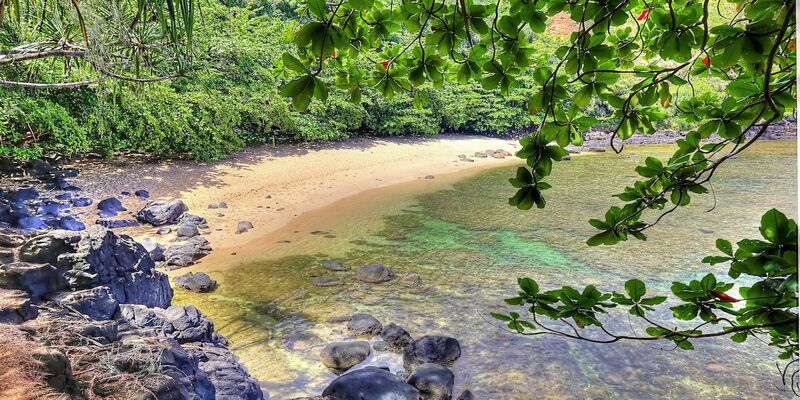 Newbies can get themselves in trouble at Anahola, so leave it to the folks who live there. If you do feel compelled to try other breaks you’ve heard whisperings about, go when they’ll be less crowded. The early afternoon is good since most locals hit the waves at dawn or after work. If you’re new to a spot, stay on the outside edge of the line-up and cede the waves to the pros. It may look like that surfer chick isn’t going to make it through a section, but she lives here. Don’t get in her way. She will make the section and look beautiful doing it.